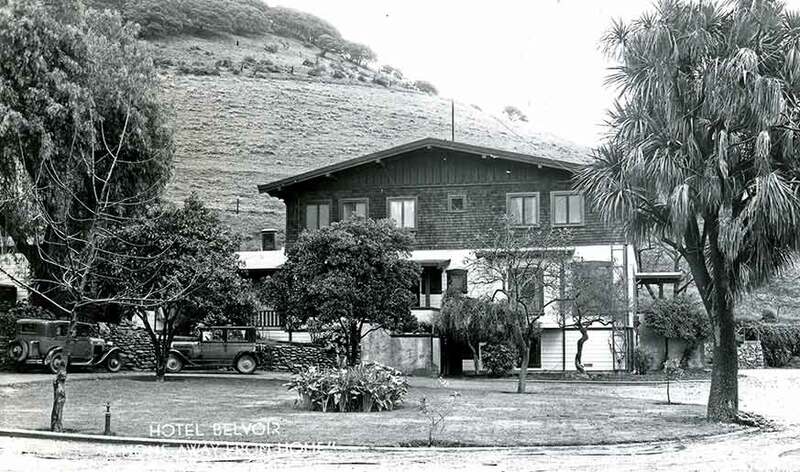 The story of Belvoir Springs begins in the late 1800s, when Giles and Emily (Nana) Chittenden moved from Mendocino County and purchased 150 acres in the hills above the bustling railroad town of Niles. The land was purchased for $3,556. With a year-round spring providing ample water, this was an ideal location to establish a farm, and it wasn’t long before Belvoir boasted profitable fruit and nut orchards, a dairy and vegetable farm. The original house was built in 1884. It was a single-story, 3-bedroom farmhouse with a barn and outbuildings. 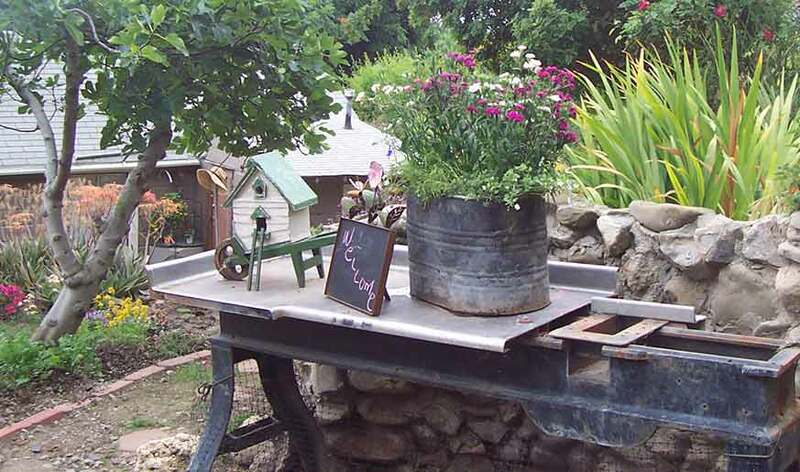 Soon, owner Nana Chittenden’s charm, the beautiful location, and the growing prosperity of Niles combined to make Belvoir Springs not just a prosperous farm but also a summer camp for friends and travelers. Belvoir Springs would eventually become a favored destination of movie stars and businessmen, as well as a boarding house for school teachers and Southern Pacific railroad employees. Today it offers extended-stay lodging as well as serving as an intimate setting for garden weddings, business retreats and holiday parties. 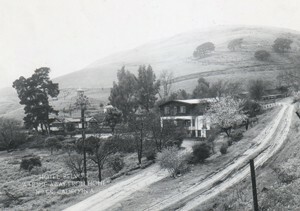 The town of Niles, named after Addison C. Niles, a prominent judge and former railroad attorney, was established in 1850 at the junction of the Southern Pacific Railroad lines from Oakland to San Jose and points south. Site of the final link in the Trans-Continental Railroad in 1869, the town quickly grew. By 1884, 24 passenger trains a day would stop in Niles. “Commercial men” would rent a horse and buggy in town, make their rounds and then stay at the Belvoir. A summer encampment with four permanent platforms for tents became popular with the Chittenden’s friends. More tents were added in 1906 to accommodate people displaced by the San Francisco earthquake. The basement was finished and a special room for bicycles was added to accommodate entrants in the popular San Francisco bicycle races. The races around the bay were all the rage before bridges were built, and the Belvoir was one of the stops. This was a momentous time for the Belvoir and the growing community of Niles. A fire destroyed much of the house, and the family rebuilt in 1913, expanding to a 22-room, wood-framed Craftsman building with gabled roofs. As part of this rebirth, Belvoir installed its first telephone. The phone number was 2 on a six-party line. A player piano was added, and all of the new hotel rooms upstairs had sinks – a luxury at the time. At the same time, Niles had become part of the growing film industry. Essanay Studios moved to Niles in 1913, bringing with it such celebrities as Charlie Chaplin, Wallace Beery and Ben Turpin. 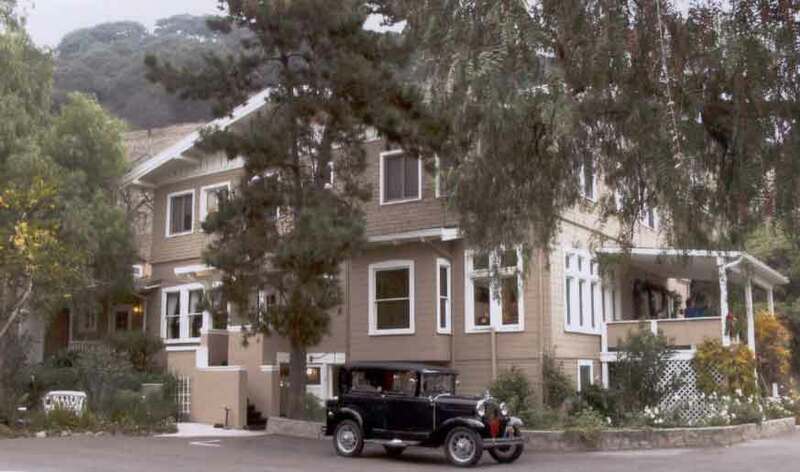 The studio, owned by Gilbert M. “Broncho Billy” Anderson and his partner George Spoor, made many famous movies of the time. The hotel register from 1913 – 1918 reveals the entire production company from Essanay Studios frequented Belvoir Springs. The Essanay Studios moved operations to Los Angeles in 1916. Nana Chittenden retired a year later. The restaurant and hotel closed in the 1920s, and it became a boarding house run by other families. In the 1930s, it was a popular meeting place for the local Rotary Club. In 1950, the property was sold to Joseph and Louise Grimshaw, who opened a nursery. Later, the property passed through a series of owners, who sold off land and allowed the historic buildings to fall into disrepair. Many years later, Susie and Jim Richardson and Colin Young purchased the property, now 21 acres. They undertook a major rehabilitation of the hotel, gardens and spring-fed water systems, returning Belvoir Springs to its former splendor. Niles, now a district of the city of Fremont (pop. 220,000), had experienced a period of decline as well. The Belvoir became a regular meeting place for community leaders and property owners as they worked on redevelopment of this historic area. Today, Niles is a thriving community and popular destination for shopping and dining, and the traditions of Belvoir Springs continue. In addition to providing extended-stay lodging, the estate is a venue for holiday home tours, business meetings, garden weddings and corporate retreats.